The UK's former ambassador to the EU has warned there will be a hard border in Ireland if the UK leaves the EU without a deal. Sir Ivan Rogers was giving evidence to the Lords EU Committee. 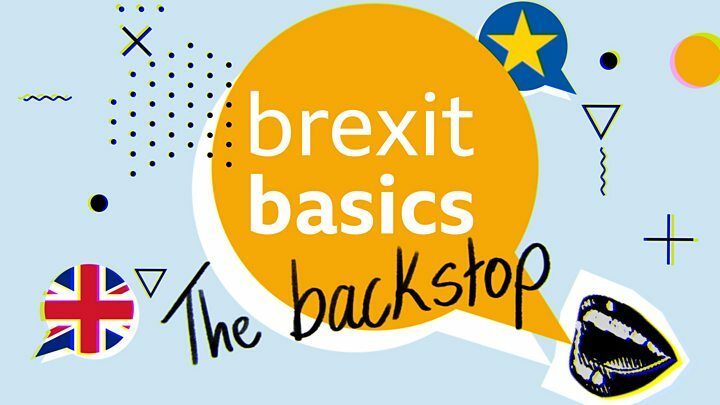 He said that if a hard Irish border was to be avoided in a no-deal scenario, there would instead have to be a border in the Irish Sea. Another possibility could be a border between Ireland and the other countries of the EU, he said. Sir Ivan said he believed people in the EU had not thought hard enough about these possibilities. The Irish government has been consistent that whatever happens in the Brexit process, there will be no hardening of the Irish border. However, in a no-deal scenario, the UK becomes a country with which the EU has no trade deal of any description. For countries like that, the EU normally imposes a range of checks at its borders. There are customs checks, like those on the Norway-Sweden border, and regulatory checks, particularly in regard to food products. These involve hard borders of the sort the Irish government says it will never accept. Sir Ivan told the committee that Ireland would retain the backing of other EU members, because it has become a "vital indication" of how the EU will treat a small member under pressure from "a big player". 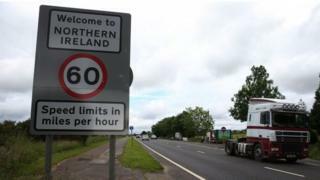 Meanwhile, the Department for the Environment has said it expects that in a no-deal Brexit, meat and other food products entering Ireland from Northern Ireland would have to go through a border inspection post (BIP). The EU has strict rules on the importation of food products of animal origin. They must enter the single market through designated BIPs, where they can be subject to physical checks. Currently, the closest BIP to the Irish border is at Dublin airport. Guidance issued this week by the Department for Environment, Food and Rural Affairs (Defra) told exporters that in event of no deal, UK consignments "must enter the EU via a BIP". The BBC asked if this guidance applied to products entering the EU via the Irish land border. A Defra spokesperson said the guidance applied to the whole of the UK and there was no additional guidance in regards to Northern Ireland.